SurfGuitar101.com | Forums: What's everyones favorite surf amp? Nice Surf starter pack. I can see by the pedal that it goes to 11! Welcome to SG101! Thank you! I am sure I will have tons of questions. I don't own or have any experience with amps like the Showman or anything quite that large; mostly just smaller combo (10-25 watt, 6V6/6L6) amps including the Deluxe Reverb, Carr Rambler and Tone King Imperial. But I've gotta say that my favorite for use at home or in smaller settings has slowly become the Princeton Reverb. What a simple, but great little amp! I agree. Small amps can sound fantastic, tend to be simple and if you mic’ one, through the P.A. it will sound as big as any amp on earth. oh this is a bummer! i just finished building a princeton I started in 2014 with the EXACT SAME tolex colors. slightly different layout. good looking amp though. If I were choosing a piggyback, Brownface Bandmaster. Has a great growl and tone for days! Plus, the blonde tolex with oxblood sets them off just right! 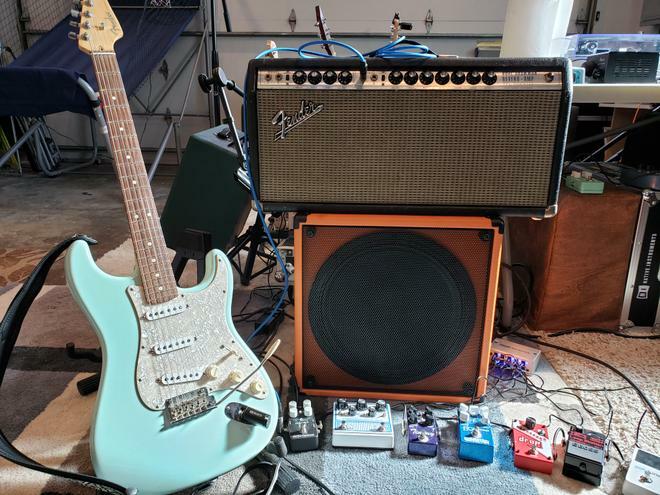 If were choosing a combo, a 2x10 Vibroverb RI. These small-ish combos have great punch in a smaller package. With the right efficient speakers it will also keep up with loud-ish drummers. Honorable mention to a mic'd Deluxe Reverb. Yes, it doesn't have the headroom of a 35+ watt Fender, but that tone can't be beat for it's small platform! I genuinely find that a hard question. 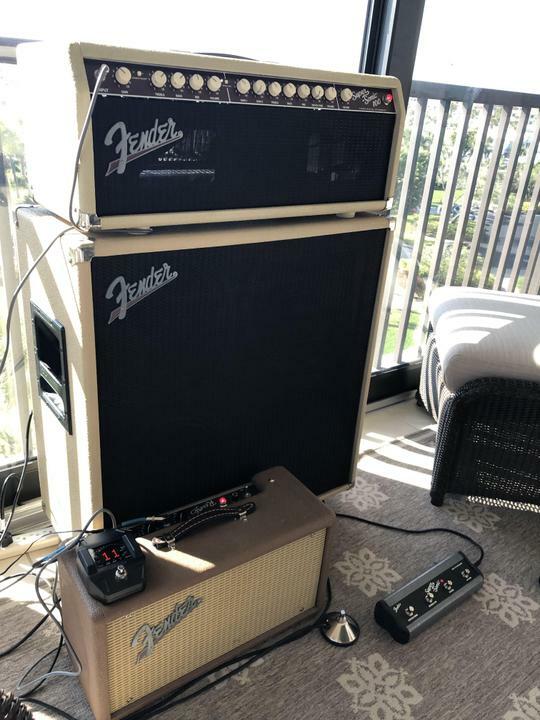 I do sort of have a favorite amp, and that will have to be my Fender Custom 1957 Goldface Twin. The reason is because to my ears, this amp may have the finest clean sound ever, and the mid-range focus is rich. Yes, there is no built-in reverb, so I plug my tank into the amp. A good choice. It has that crazy Showman OT in it, so I'm not surprised it's a great surf amp!